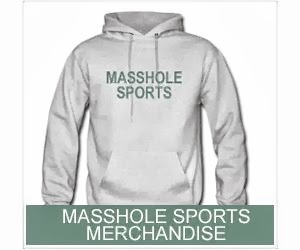 Masshole Sports: The Latest Poll Results Are In...And Im Not Surprised At All. The Latest Poll Results Are In...And Im Not Surprised At All. This is a real poll on SportsNation right now and it just blows my mind. The reality is Michael Pineda broke the rules. He got caught and will be suspended. Yet, New Yorkers have the balls to think that its just no big deal. I just cannot comprehend the concept that their guy got caught cheating and somehow its Major League Baseball's fault. Like they are the bad guys for having this rule in place. 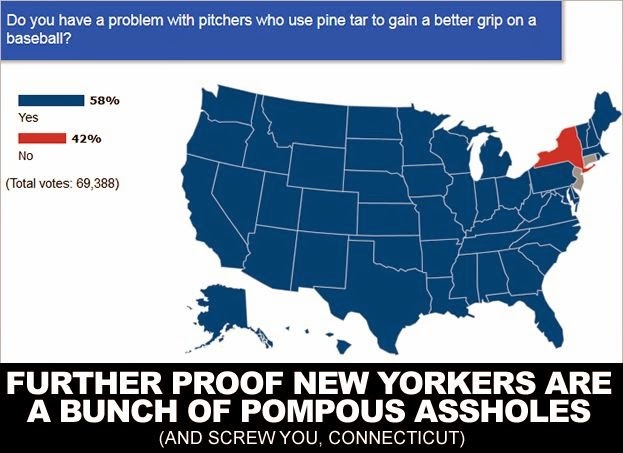 This just further proves my point that New York sports fans are some of the most arrogant, self centered, egomaniacal, pompous assholes in all of sports.